• The augmented reality view harnesses the power of AR to visually project past, present, or future sun and moon positions (and moon phases!) onto your surroundings, letting you perfectly visualize your plans. 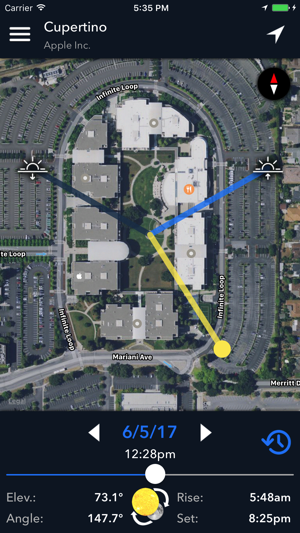 • The map view overlays the sun and moon positions for a given time and location onto a map of that location, letting you make plans from afar. 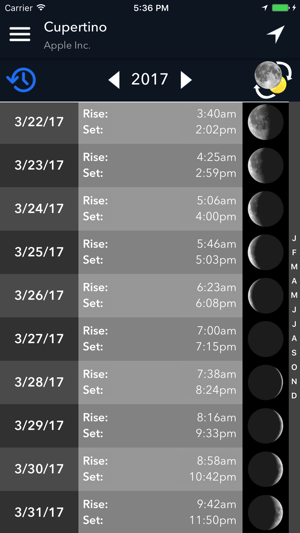 • The calendar view displays a simple list of rise/set times and moon phases throughout the year, letting you see the big picture at a glance. 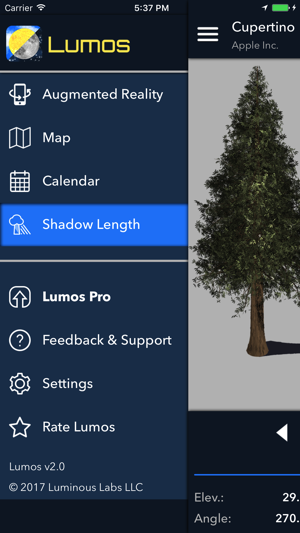 • The shadow length view calculates the exact length of the shadow an object will cast on a given time and day, letting you see the result both visually and numerically. 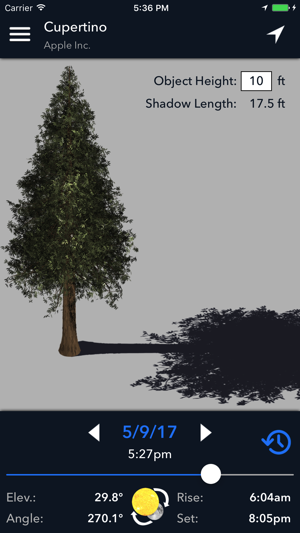 You can also calculate the height of an object if you know the length of its shadow. NOTE: The sun and moon positions calculated by Lumos are accurate to within a small fraction of a degree. However, as with any augmented-reality app, the accuracy of the projection is dependent on the underlying hardware. 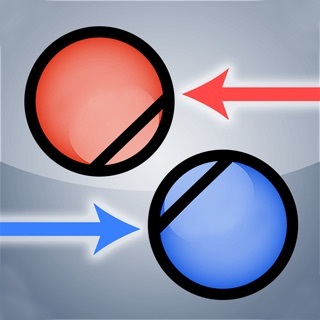 If you are seeing inaccurate positions, please calibrate your device's compass and ensure that you are not near any sources of electromagnetic interference (e.g. microwaves, computers, car engines, high voltage lines). 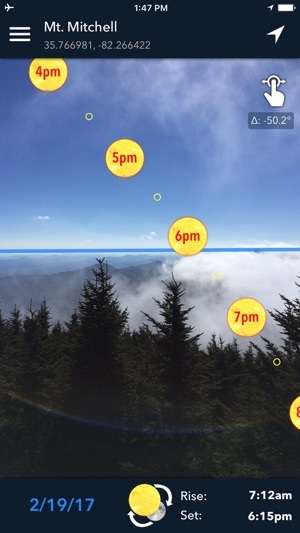 You can also use the visual calibration tool to align the projection with sun’s current position. Please feel free to contact us if you continue to have issues. Requiere iOS 10.0 o posterior. Compatible con iPhone y iPad.